Stippie is the mascot of our wargames club, the Stipsciz Hussars. I painted him a couple of years ago, and he accompanies us to shows, demoes and conventions. 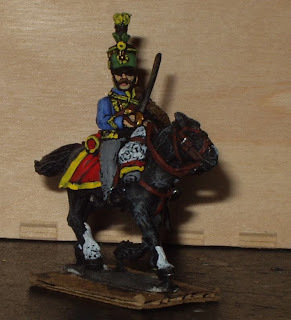 Stippie is a Foundry 28mm Austrian Hussar.